As long as you feel comfortable and the apartment is fitting all your needs there is not so big difference whether you live in a house or in a flat. Although many of us like to enjoy in a pleasure of their own green yard, flat has a lot advantages especially when it comes time for cleaning and commissioning. If you have a children it is always easier to control them in an apartment, even if they hide inside the furniture, you will now that they are safe and sound inside the apartment. On the other hand, there is not bigger pleasure of hours and house in your wonderful garden full of flowers and other greenness. Not to mention traditional barbecue with your friends or outdoor birthday parties under the sky full of stars. However, if you are living in a big city buying or renting these kind of house can be a serious whole life investment, especially if you want to have the house that you’ve been dreaming all of your life. That is why in our renting practice, for a while good spacious apartments in a building with few floors are far away more popular and easier to sell or rent an apartment. But terrace is a must. If the apartment has big windows, lot of daily light and sun during the most of a day than this apartment is always good alternative for all of those who likes to enjoy in a magic moments of their own home and that spend a lot inside of it. Although square meter of a house is usually more affordable than a square meter of an apartment, smaller surface still makes apartment more affordable and attractive for those who have decided to buy their own. In Mentor Real Estate we have more than interesting offer of the apartment that replace your dream house in full and here are just some of them. Click and check one of the most affordable offers concerning the conditions and a final price. Dedinje is prestigious quart in 10 minutes of center of Belgrade very famous about its luxury villas and high-classneighbors. Everyone that have moved in Belgrade was dreaming to live here and with our top 3 special properties it is not far away to become reality. We invite you to discover and rent the most luxurious apartments in Dedinje equipped toward the latest interior design trends for the best prices ever. In the center of Dedinje, just opposite the Royal White Palace, we rent modern and fully furnished apartment at 140 sqm with your own outdoor swimming pool and 24/7 hours security. Apart 3 spacious bedrooms and 2 bathrooms this apartment poses its own sauna and jacuzzi, as well as two parking places. All this pleasure and enjoyment can be yours for a price of 1700€ per month. High quality apartments are our specialty and just like this is our second two level apartment at Dedinje. Very near the Royal Compound this apartment is fully furnished and equipped with everything that might need an average family. 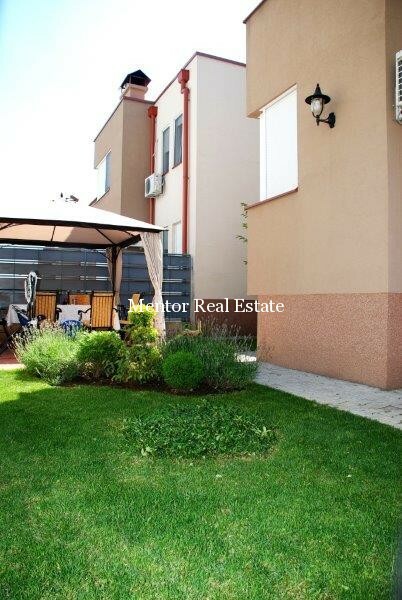 This spacious apartment at 130 sqm has 3 bedrooms, 2 bathrooms, separate toilet and two big terraces. In the first floor in the kitchen and dining room there is wonderful fireplace to enjoy romantic moments with your family and your partner. Apart the fireplace apartment has gas central city heating and air conditioner. In a price of 1300€ it is included all satellite tv, cable tv, internet and your own garage, as well as the 24/7 security. The last but not the least interesting offer is totally modern and fully furnished apartment at 130 sqm with 3 bedrooms, 2 bathrooms, big terrace and separated spacious wardrobe. For all of you that enjoy small details this apartment will be the perfect choice concerning the money you will pay and commodity you will get. Contact our agents and get sure yourself! Can neighbors jeopardize your sale or rent? The overall impression with a neighborhood can bring down the value of your property, but, believe it or not, it can even put on risk the sale or renting of the property. No matter if the apartment you sell or rent is located in the best and the most famous quart of a city some things from your neighborhood can definitely jeopardize your sale or rent. Among the first things that buyers and tenants usually escape are messy, overgrown yards and abandoned houses. Not just that most of the people don’t want to live isolate and far away from people, these messy areas can be the source of different problems with insects and other locust-trees. However, big noise is even bigger problem if present in a neighborhood where you rent or sell house or an apartment. Furthermore, among top 5 enemies for renting and selling of your house, there are bad smells, big noise made by animals, barking and howling, as well as the noise of cars and public transportation. Even a noise from a neighbor that has just started renovation of his house might be harmful for a final rent/sale agreement. Equally important are social qualities of your neighbors. As you never know when you will need some of help, it is always good to have a favorable person next to your door, however impolite and long-tongued neighbors that spread the rumors around can bepretty irritating, as every one of us want to enjoy in the peace and freedom of his own home and yard. Although you cannot influence to the most of these things when preparing your property to rent or for sale, try to be careful and aware of them when presenting your property and bringing potential tenants for a first visiting. Otherwise they might not return never again. Security deposit – is it really necessary? Security deposit is one of the biggest headaches when renting an apartment and entering in someone else apartment. We give it to an owner or renter in a case of damage caused while staying in his apartment, or for a purpose of cleaning when we leave the apartment. No matter if it is refundable or nonrefundable; it is minimum in the amount of monthly rent, why it is big spending for a tenant. However, if you are sure that you will get your deposit at the end of renting period it is a safe way to have your money on the side and spare them for something else. But how to stay sure that you will get your deposit at the end and for what purposes it can be used? This is individual thing and it depends just of the agreement that you have made with the owner. In order to be sure to get back your security deposit try to make things clear from the beginning and put in written statement the amount you have paid as well as the list with already existing damages if you are entering the apartment that has already been rented. Try to include in paper what are the damages and repairs that may be covered with your security deposit as well as the latest deadline when the landlord has to return your money. An extra witness wouldn’t be a bad idea, and if there are some damages photos would be more than welcome. This paper should be signed from both sides and keep the copy as well as the photos that you have taken. When the moving day comes your landlord must obtain the list with the repairs that are made in themeantime, as well as the valid checks for the sum of money that he was paid for repairing. The same means for you if you have done some of the repairs and you want to get your money back. Be wise and careful because just a small dismiss can leave you without your money, although you have taken good care with the apartment. Days of vacations are already far behind us and it is right time to start looking seriously for your new apartment. We have worked hardly whole summer to come with the best apartments in the most prestigious quart in Belgrade. 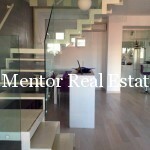 If you want to rent or to buy a house or apartment in Belgrade this fall Mentor Real Estate comes with the best properties so far and the most affordable prices. Rent your new apartment at Dedinje at more than 110 sqm for just 1200€ and you will enjoy even 3 bedrooms, 2 bathrooms, big spacious terrace. The apartment has central heating on gas, their own garage and storage, 4 air conditioners and already installed satellite tv, cable tv and Internet. If you need more space in this area then take a look at this fully furnished apartment at Dedinje. For the same price you will get 3 bedrooms, 2 bathrooms and separate toilet, and your own parking place. The apartment has central city heating, air conditioner and satellite tv, cable tv, Internet. For those who search for more modern apartment equipped with the furniture of the latest generation we offer you smaller but comfortable apartment with 3 bedrooms, 2 bathrooms, and a garage. 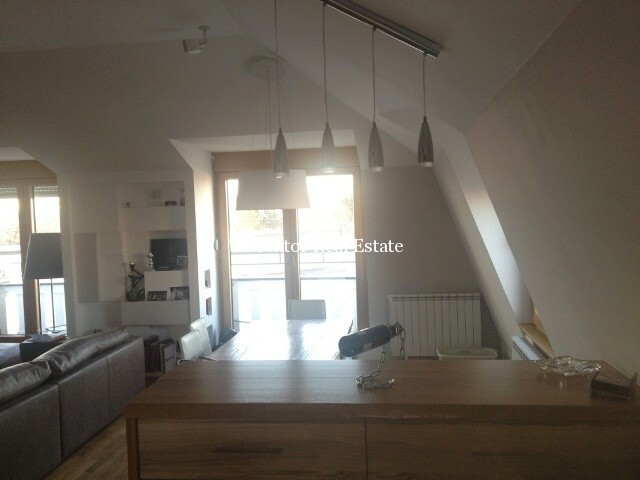 Monthly rent is 1200€ and the apartment is located in a center of the most popular Belgrade quart in Dedinje. For the end we have left the most interesting house for sale at the same location with 2 times more space. With 6 bedroom and 3 bathrooms with floor and central heating, toilet, double garage and a big yard it ideal for small families who are looking for their new home. All with satellite and cable TV. Internet and even a fireplace this house is sold fully furnished as well as unfurnished. Contact us and we will find the apartment for any taste! How to prepare your property to rent it to an embassy? In a real estate industry it is always the most complicated to rent big, spacious houses and villas, as they usually cost a lot of money and the average, ordinary family usually doesn’t need that much space and probably won’t pay bigger sum of money just to enjoy in their luxury. But if you have this kind of property and you are looking for a tenant then maybe you should search it among business class and diplomatic representatives, as they will definitely need more space and best equipped properties. Before you rent it you should know what are the demands of these clients, so that you can get a best price for it. Embassies are usually in a big and spacious buildings with attractive design usually equipped in a certain style that draw a lot of attention. Diplomatic representatives and usually have special demands for extra parking place, basement and security standards so it is not a bad idea to try to focus on these when preparing your property to rent for a foreign embassy or international companies for their seat in Belgrade. It concerns security gate or even a wall, with goodposition to overlook all the entrances. Good location is also one of the top priorities for all the embassies. It doesn’t have to be in the city center however it has to be in a calm neighborhood with a good connections with other parts of a city. For their residences diplomacy cores usually choose the most beautiful quarts, that are clean and surrounded with green areas. These are usually the most prestigious quarts with other luxury villas in the neighborhood. Building should be spacious with a lot of small rooms, wide balcony is a must, as well as the big hall for diplomatic cocktails and dinners. 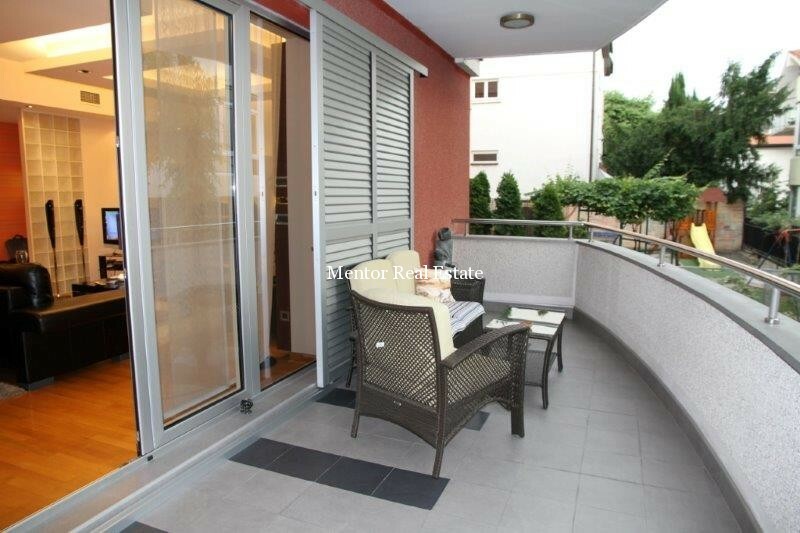 These properties should have big windows with a lot of lights and big nice arranged garden is just a plus that will definitely help that you property become diplomatic residence or embassy for many foreign representatives that are staying in Belgrade. No matter the type of rent somehow landlord always wants to overlook the tenants in their apartments, although those who are renting apartment have their right on privacy, as they are paying for it. In order to keep both sides happy it is important to include both tenant and tenants’ right in a lease agreement, however this is not always easy thing to do since the landlord-tenants law varies from state to state. However, there are 5 key renters’ rights that are the same in every country. 1. No matter where you rent apartment landlord is the one that do all repairs in apartment and take these costs. These repairs can make tenants, however the cost should be reimbursed through monthly rent or in cash. For every case note this in the lease, as well as the period these repairs should be done. 2. Every landlord is supposed to let know the tenant if entering the apartment, if possible at least 24 hours before. However, these visits should be really minimum and just in case of an emergency or due to repairs. 3. You are not allowed to rent the apartment to the third party; however the landlord is not allowed to overlook the number of guest you are receiving as well as when you are leaving or entering apartment. You are not paying just the apartment but your privacy. This is maybe the most important tenants’ right. 4. Your landlord may tell you the thing that bothers him, however you are the one to decide if you will respect it or not. In any case he is not allowed to change the locks and things in apartment without any notice, as well as to visit the apartment while you are not home. 5. Almost every landlord is asking for the security deposit that is usually not higher than a monthly rent; however have in mind that security deposit is returned within two to four weeks after the tenant has notified the landlord about moving out, and is not refundable just in case of physical damages or not paying the bills. In any other case you should get your security deposit back until the last penny. In a case that you are not entering the new apartment yours is to take a look, to take a photo and to make the list of stuff and damages and to give it to the landlord. In case if you forget to do it, don’t be surprised if you have to pay for some damage that you didn’t make. Moving to a new environment can be pretty stressful experience why is more than wise to get as much information as possible about new city, habits the way of living and it’s atmosphere. We bring a short list of top 10 things that are good to know before coming to live in Belgrade. 1. Belgrade is famous about great hospitality and leisureliness, and this thing fascinates majority of tourists, however when it comes to living here, this kind of living style can irritate all who are coming from other culture. 2. Leisure living style have influenced to public and business sphere, so be ready for waiting more than you have get used to no matter if it is waiting in a row in a bank or hospital or for your business partners to start the meeting. 3. With a plenty of cars it is not always a pleasure to drive through Belgrade, but although the public buses are not so good equipped and in the best conditions public transportation has extensive network so it is good alternative for driving by your own from one part of city to another every day. 4. The most popular neighborhoods in Belgrade are Vračar, Senjak, Dedinje, Novi Beograd and Stari Grad and you can find one of the most beautiful and the most luxurious apartments and houses with astonishing architecture. 5. Prices of a square meter varies from 900 until 3000 euros in the most prestigious areas, but in comparison with previous years prices are falling down especially for large apartments and the most luxury real estates which makes him one of the cheapest cities in the region when it comes to buying your own property. 6. When it comes to security issue things have changed in a comparison with nineties when Belgrade was one of the top risky places to live in whole Europe. 7. Climate is wonderful. Belgrade has a mixture of subtropical and continental climate with four different seasons and it means a lot of sun and not many rain, however temperatures are not so high in summer and not so low during the winter. 8. Is a real world cosmopolitan metropolis with many business opportunities, a lot of foreigners that are coming every day, big cultural events and entertainment activities to have fun and get relaxed in your spear time. It is famous about great parties and good nightlife. 9. Working hours of majority of stores are during whole day from 8-20h, in most of the cases even on Saturdays. Working week last for 5 days and working hours are mainly from 9-17h. 10. Although this is not the case in many other countries tap water is safe to drink. Lime scale is a bit higher however not dangerous so you have to buy water for drinking or cooking. Global economic crisis that had befallen the world few years ago, still influence the fall in real estate prices and in accordance with international and European trends the same variations in prices are recorded in domestic Belgrade real estate’s market as well. Regardless the economic standard, prices of a square meter in Belgrade are not different from other capitals in the region. Just few years ago apartments at exclusive locations in Ljubljana, Zagreb, Podgorica and Belgrade had cost over 2,500 euros per square meter, but today these apartments in the same locations sell at significantly lower prices. For last few years in the region it is estimated overall decline in prices for 30-40% and real estate agents testify that these luxury apartments in prime locations in Belgrade today cannot sell for more than 2,000 euros per square meter. As the government has recently announced new tax policy that will increase utilities for about 300%, next surprise in the local real estate market could be decline in prices for big houses and apartments bigger than 300 square meters. Jump of taxes and costs of living in these big properties will surely influence directly at the offer of these properties at the market, what can make a serious problem as they have been very hard to sell for a while, and this can be an extra hit for those who want to get rid of them. If owners want to sell them as soon as possible, they will be forced to offer the price that is far from the true value and the money invested this real estate. Though, this is not so bad news for all of you that are thinking of buying a new house or apartment. If you are patient enough to wait few months more, for the money you have prepared for buying a property of average size somewhere on periphery of Belgrade you could get a big house with a garden in one of the most elite parts of Belgrade. Therefore, we recommend that you wait a bit more, especially if you are not in hurry to buy your new property. When is right time to rent an apartment? If you are moving out from your old apartment into new one you should know that it would be much easier and cheaper for you to start with the rent at the beginning of the month then to do it in the second half of the month or in the middle. It is not always easy to get new short-term accommodation if your rent begins in the middle of the month, especially if you are moving out the previous apartment and you don’t have any apartment to stay while looking for a new one. Starting rental period at the beginning of the month is better solutions for tenants at least for three reasons. 1. As we usually pay a rent on a monthly basis, it is much easier to manage the rents as we pay a rent for a following month on the first of every month. Even when you decide to move out it is more than clear that you will have paid the rent for a whole month and it means until the last day in following month. 2. The possibility for misunderstanding is a minimum even when it comes to paying bills for electricity, gas, water and other house hold utilities. They are usually calculated on a monthly basis as well, so you won’t have to pay something that you haven’t used, just because this is the last bill while you were in the apartment. 3. In property business exists ‘’prorated rent’’ that refers to a rent proportionally calculated for period that you have spent in some apartment, and that is less than a month. However, this ‘’prorated rent’’ is usually based on internal agreement between tenant and landlord, and basically depends on a will of landlord whether he is ready to let you stay longer than it was arranged. However stay prepared even to pay a rent for whole month in case that you jump in new month for just a few days. Mentor real estate agency if famous about its tradition of renting and selling the best carefully chosen properties that are recognizable about its quality and modern architecture. All these years we were searching for the best properties in the most élite neighborhoods in Belgrade and this time we come with the top 3 the most luxurious houses in Vračar. Although the smallest Belgrade municipality, Vračar has the biggest number of inhabitants, due to great location and connections with city center and other parts of Belgrade. That is why it is still very hard to find free and specious property. Apartments and houses are rented here through night and this is one of the additional reasons why Vračar is still one of the most expensive parts in Belgrade. But, for their clients Mentor real estate still has great offers when it comes to buying and renting villa/house/apartment in Vračar. Currently available is 170 sqm penthouse house with three bedrooms and two bathrooms, wonderful terrace with astonishing view. This beautiful house is located in the center of Vracar and has central city heating and central air conditioner, their own garage place, satellite tv, cable tv, internet. 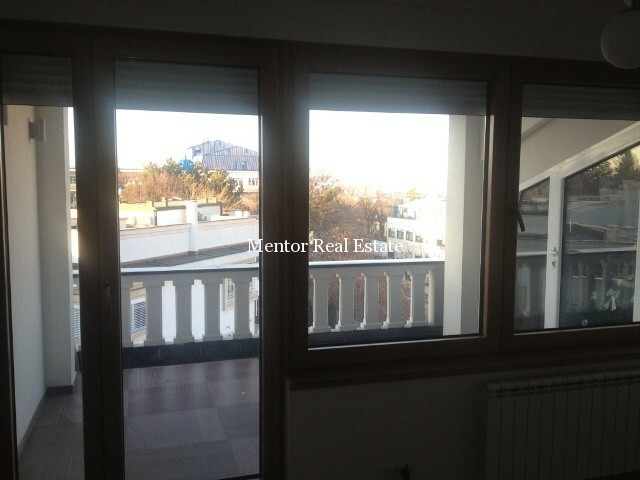 You will be able to enjoy in this apartment for unbelievable price of 425.000€. 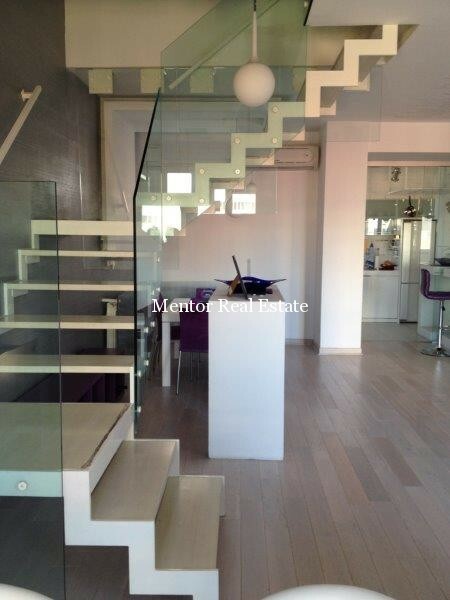 This luxury apartment has everything you may dream about, in less then 200 sqm. This luxury apartment has three bedrooms, two bathrooms and guest toilet, beautiful fireplace, even a separate laundry and garage for your vehicles. The apartment is sold with furniture and fully equipped, so you can start your living routine right after you sign the contract. Price for this house is 510 000€, however there are enough place for negotiation if you are interested to make this house your own home. We leave the best for the end and offer not that big but very good structured home in 108 sqm with three rooms and two bathrooms. The house has installed central heating, fully furnished kitchen, terrace and their own garage. The price is the last and the best surprise, as this house can be yours for just 108 000€. How to rent a property in 5 simple steps? Offer at real estate market has never been richer and with the expansion of the Internet and other new technologies property bases have become available to every single Internet user. However, still finding a right property to rent is pretty stressful job and to make it easier we bring few simple advises. Decide where you would like to live – If you are not sure where exactly you would like to live this can bring you a plenty of problems. The first one is too big offer. In order to narrow the choice of properties we advise to decide the place where you would like to live and when making this decision have in mind how far is it from work, what are transportation connections that are offered but also what is the structure of your neighborhood. Rethink how much space it will be enough for you and your family. Space and location will influence the price range you will need to pay, however you should be also aware how much money you will be able to single out for a monthly rent. Just after you have answers to these questions you are ready to go to a next step and this is to call real estate agent. Read 10 reasons why to contact real estate agent. Real estate agent will make a short list of the properties toward your top criteria that we already have mentioned. You will take a look of photos but we recommend visiting these properties that you like the most and ask your real estate agent everything you are interested in with this property. Read the list of questions to ask on first viewing of house. If you have made top 3 of your favorite properties, we suggest taking a look them once more so you can be sure when making the last renting decision. Once you have made your last decision there is just one more step before moving into it. This is signing the agreement. This is the most important part that protects your rights and responsibilities as new tenant of the house. In here you should be precise with the monthly rent, the date when you should pay it, as well as the mean of payment. Read more about the real estate contract and reasons why you should sign it when getting new property. Why real estate contract is necessary when buying or renting a house? Real estate contact is an agreement between the one who sells/rents and the other side who is looking for new property. It protects the rights of both sides involved in property business and defines their responsibilities toward each other. No matter if you are the one that sell or buy an apartment or you are looking for new property this contract will save yourself unwanted stress if the other side is not behaving in the way you have agreed before. 7. The name of the institution that is in charge for solving the problems if the contract is not obeyed. In case that you are hiring the real estate agency for getting you new property it should be also included in your real property agreement, however before starting cooperation with real estate agency you should also sign up the agreement with term and conditions between you two. Agencies usually act in the name of their clients trying to represent the client’s needs in the best possible way. However, how far they can go with it and what are their licenses you should settle down with separate agency agreement about your cooperation and the costs of their services. Hot long summer is already here and the best way to enjoy it is in your own swimming pool. If you still don’t have it is a right moment to get it for a special price. Swimming pool at your own house yard is not a luxury anymore and here is Real Estate list of top 3 houses with swimming pool. Our first suggestion is spacious house on Dedinje with 2 floors, 5 rooms and 4 bathrooms. At your service is more than 400 m2 house with basement, big yard, garage and parking place. In front of the house is nice rounded swimming pool and inside the house you can even enjoy in your own sauna. This gorgeous house you may rent without the furniture for a special price of 4000 euros per month just this summer. If you search for a smaller property then you should take a look to a nice house in row located at Dedinje as well in a nice and calm surrounding. It is ideal for young couples with small children as it is fully furnished and with good property disposition to have your kids all the time at your sight. On 240 m2 there are 4 bedrooms and 3 bathrooms and in the backyard there is small rectangular swimming pool. Beside nice and steady garden house has its own garage and laundry. Special summer price for this house is 2400 euros per month. For those who like to enjoy in spaciousness of their home Real Estate has in the offer single house on Dedinje on more than 1000 m2 with big swimming pool and big garden terrace with astonishing view on Košutnjak. Two part swimming pool is ideal for summer parties or afternoon cocktails with your friends. On more than 1000 m2 there are 5 bedrooms all with their own bathroom, sauna, basement and garage for two cars. House is luxury furnished and equipped with everything you may need. 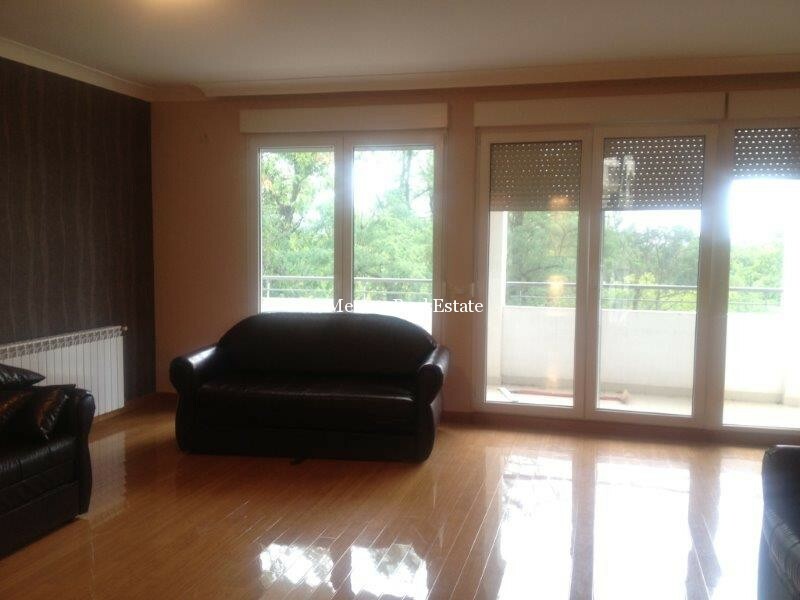 However it can be rented furnished or unfurnished and a rent is 7000 euros per month. Belgrade is becoming leading administrative center in south Eastern Europe why there is increased demand for office space for big international and domestic companies. In comparison with other neighborhood capitals Belgrade still offers the most concurrent prices that is why Belgrade is still the first option for their regional centers. So far Belgrade is regional center for Carlsberg, Microsoft, Kraft Foods, on tenth of different banks and the strongest international NGOs. If you are coming to Belgrade from the same reasons, you should be familiar with the top business locations in Belgrade. We have made a choice of top 4 business locations for those who want to be close to the city center, but also to the one that prefer calm periphery. City center – City center of Belgrade have always been prestigious part of Belgrade equally convenient for both entertainment as well as for doing serous business. So called ‘’Beogradjanka’’ building as well as ‘’Politika’’ were one of the most famous business places where many companies wanted to get the office. Nowadays, due to the lack of new business place many companies search for big and functional apartments to transform them in office space, so that they can stay in this part of the capital. business complexes and more choice considering the typical requirements for your business. Many of banks and multinational companies have moved here, and it has become the most wanted business area. In a comparison with city center it is even more expensive, however it really offers everything you might need your business run smoothly. For those who prefer periphery more we suggest two more neighborhoods. First one is Dedinje, where are located the most of the embassies and middle size businesses, where you can rent the most luxurious villas in hole Belgrade for the most favorable prices and transform them into your prestigious business residencies. Although not that much famous, Senjak is the other neighborhood that is becoming even more popular among businessman, especially after the new Ada bridge has been build. If you need some more help with choosing your new business place in Belgrade, Mentor Real Estate agents stay at your service.